Editor's note: This story is part of a collaboration between TIME and The Texas Tribune to track the family separation crisis at the U.S.-Mexico border. To watch a documentary about Carlos and Heyli’s journey through the migrant-smuggling industry, go to time.com/borderhustle or watch it here. Carlos had been thinking about migrating to the U.S. since he was a kid. 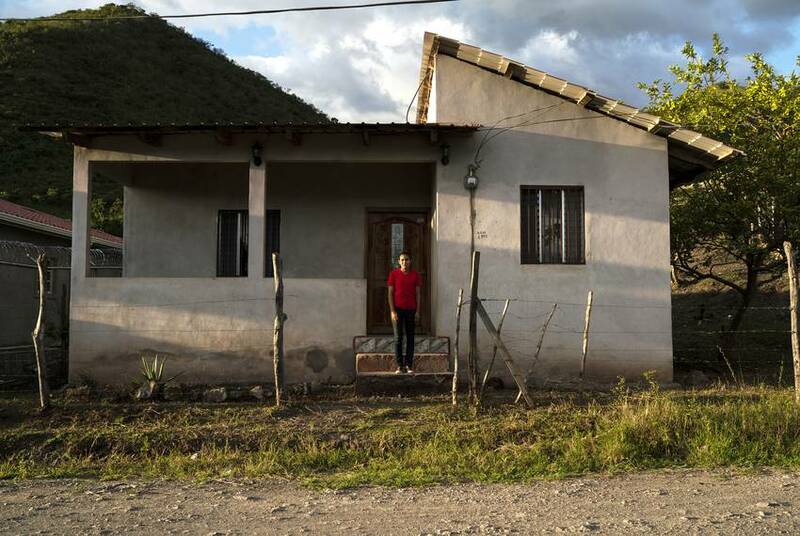 In San Francisco de la Paz, a valley outpost ringed by lush hills in the lawless “Wild East” of Honduras, about the only business that’s booming is home construction — fueled by American dollars sent home each month from migrants living in the U.S. Remittances from former villagers helped Carlos scratch out a living, but with every dab of mortar he splashed on vacant homes, he longed to join their owners. Making $13 a day as a construction worker, he could barely afford to take care of his wife and daughter, let alone help his parents buy medicine for a range of ailments including diabetes, high blood pressure and thyroid disease. 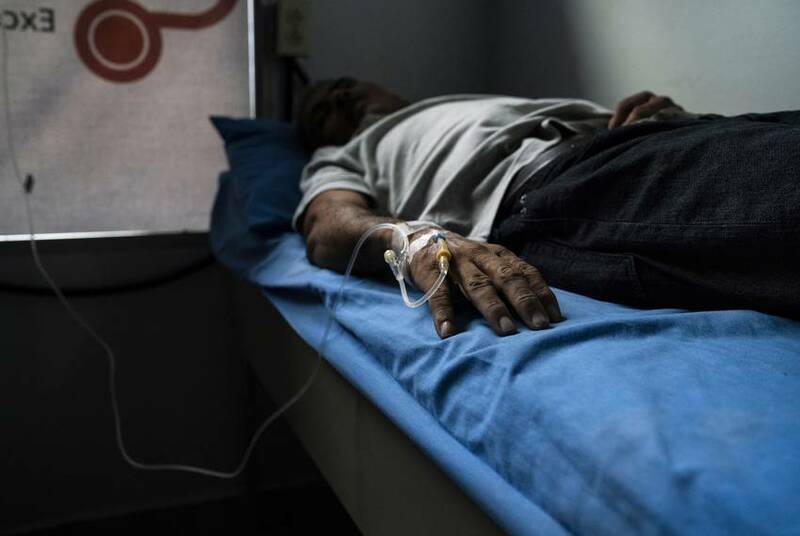 Plus, the street violence that has ravaged Honduras hit too close to home a few years ago, when a cousin was murdered by suspected drug traffickers. 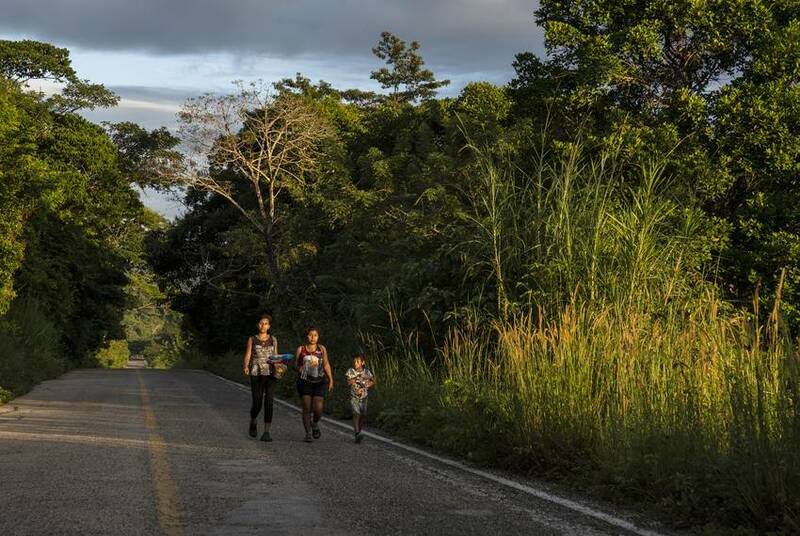 So last year, Carlos, 25, did what most Hondurans do when it’s time to get out: He approached one of the three local smugglers who operate in rural San Francisco de la Paz, which has a population of about 20,000. 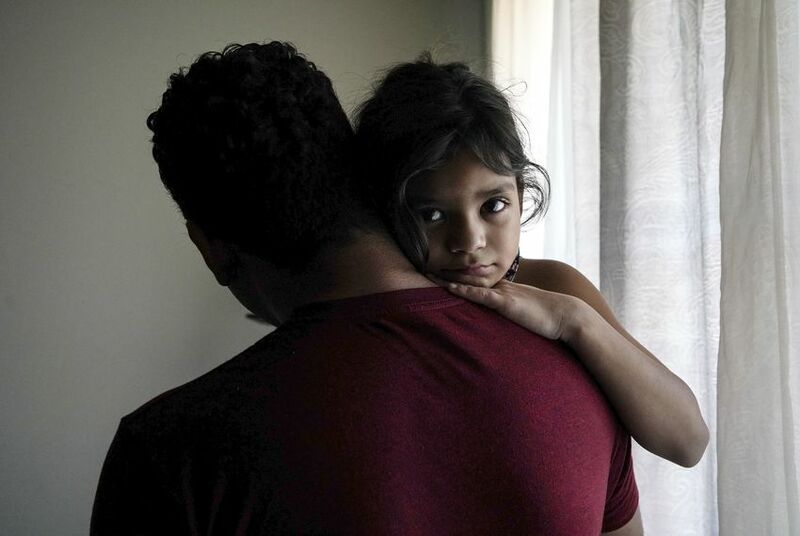 The smuggler gave him a price: $7,000 to cross the Rio Grande and seek asylum — but only if he took his little girl and they surrendered to the U.S. Border Patrol on the other side. Otherwise it would cost $10,000 to traverse Mexico and then evade a gantlet of law enforcement at the border and the interior checkpoints beyond. Carlos’ wife, Claudia, pushed back. She feared sending their only daughter, Heyli, who was 6 at the time, on a nearly 1,700-mile journey in uncertain conditions. She’d heard grisly stories of migrants suffocating in 18-wheelers or getting assaulted on the long trek through Mexico. Why couldn’t Carlos go by himself? “I told [the smuggler] many times, ‘Better alone,’” Claudia recalls. “But he said, ‘No, it will be easier, better with the girl.’” And cheaper. The decision was wrenching. Leaving would break up their tiny family and require them to go deep into debt. But Carlos and Claudia always dreamed of an easier life for Heyli, away from the grinding poverty of Honduras. So the deal was struck. 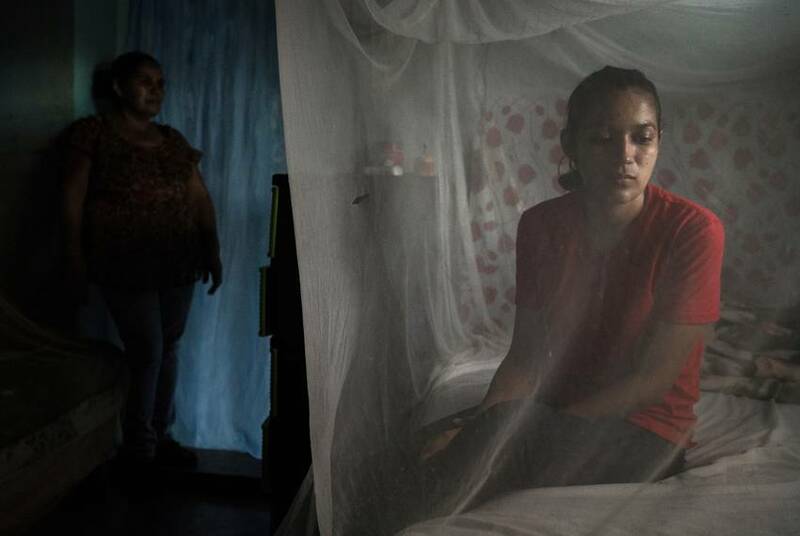 Thousands of Central Americans are making the same calculation every month. Despite the Trump Administration’s “zero-tolerance” policy designed to deter illegal border crossing, the apprehension of “family units” on the U.S.-Mexico border has skyrocketed to record levels in recent months, according to the Border Patrol. In the past five months, Border Patrol agents were apprehending family units at a rate 338 percent higher than in the same period a year earlier. The money that desperate people are willing to scrape together to come to the U.S. has turned humans into cash cows. According to a 2018 U.N. report, the migrant-smuggling industry was worth $5.7 billion to $7 billion worldwide in 2016. Since the U.S. remains the top destination for migrants, the North American market is the crown jewel of the global smuggling trade. Watch "Border Hustle," The Texas Tribune and TIME's documentary investigating how a growing number of migrant families are victimized on both sides of the U.S.-Mexico border. 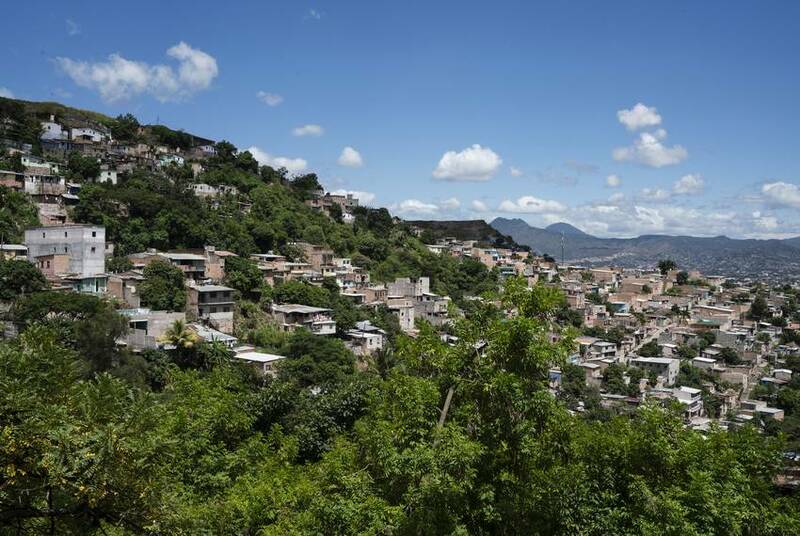 In gang-infested Honduras, Sultan’s piece of the cake is big money. He estimates he makes $700 to $800 a head on his clients, which can add up to around $3,000 every two weeks — a small fortune in Central America. Sultan, whose prices vary slightly from other smugglers’, offers his clients three package deals. There’s a $10,000 VIP plan, for a single adult to be driven all the way to Houston. There’s a $7,500 deal for single adults to be delivered to the border, from which they make their own way by foot around a checkpoint 80 miles north of it before getting picked back up. Finally, there’s the popular bargain-basement deal: for $6,000, Sultan will arrange to deposit a parent and child on the U.S. side of a South Texas riverbank, at which point they are left to turn themselves in to U.S. border officials and claim asylum. (Carlos and Heyli, who paid a different smuggler, were charged a higher rate for the same arrangement.) It is the cheapest option because it frees coyotes of the cost and hassle of delivering their clients to the U.S. interior, explains Sultan. He also recommends that adults bring a child because when they do so, they are typically released by immigration authorities to await a court date. Single adults, by contrast, are usually sent to detention centers. Although taking Heyli offered a steep discount, Carlos and Claudia still didn’t have the money to pay off their smuggler, who wanted roughly half his $7,000 fee up front to get the pair to Reynosa, a Mexican city just across the Rio Grande from McAllen. The other half would help pay off the Gulf Cartel, a crime syndicate that charges a “tax” of $1,000 to $1,500 per person to let migrants cross its territory. The cartel began trafficking booze across the border during Prohibition before switching to narcotics decades ago. More recently, it has increasingly turned to human cargo for a variety of macroeconomic and geopolitical reasons. Marijuana-legalization efforts have driven down prices in the U.S., while periodic crackdowns on border crossings over the past 15 years have driven up the amount the cartel can charge migrants for allowing them safe passage. Carlos was counting on a network of friends and family from San Francisco de la Paz to help him pull together the money once he got to the border. But that still left him more than $3,000 short of the up-front cost. So Claudia was stunned one Monday last May when Carlos came home early from his construction job, two blocks down their unpaved street, and asked her to start packing a bag for their daughter. “Get Heyli’s things together because we’re leaving tomorrow,” he said. “How did you get the money?” Claudia asked. He told her the coyote had offered to take them on credit, backed by a relative’s land. Carlos would pay back the money once he started working in the U.S. “We’re leaving at 4 a.m.,” he said. Claudia felt blindsided, overcome by a mixture of fear for her daughter and hope that the journey might bring her a better life. She gathered the items Heyli would need for an international journey — shot records, birth certificate, three days’ worth of clothes — and stuffed them into her purple school backpack. At that point, the family had no idea what to expect. They didn’t know the Trump administration had begun separating children from their parents at the U.S. border. They knew only what they’d learned from the smuggler: The trip would be mejor con la niña. Better and cheaper with the girl. The night before they left, Heyli was bursting with excitement. Carlos had told her they were going to visit her Aunt Lilian; Heyli didn’t realize she lived thousands of miles away in Southern California. “Mami! I’m leaving, and I’ll be back in two days,” she gushed. On the morning of May 15, Carlos and Heyli began the long journey to America. The first leg was easy. Hondurans can travel freely through neighboring Guatemala, so Carlos and Heyli took public transportation all the way to a tiny Guatemalan village called La Técnica, perched on the Usumacinta River. It sits across from touristy Frontera Corozal, downriver from the Mayan ruins of Yaxchilán, in the Mexican state of Chiapas. 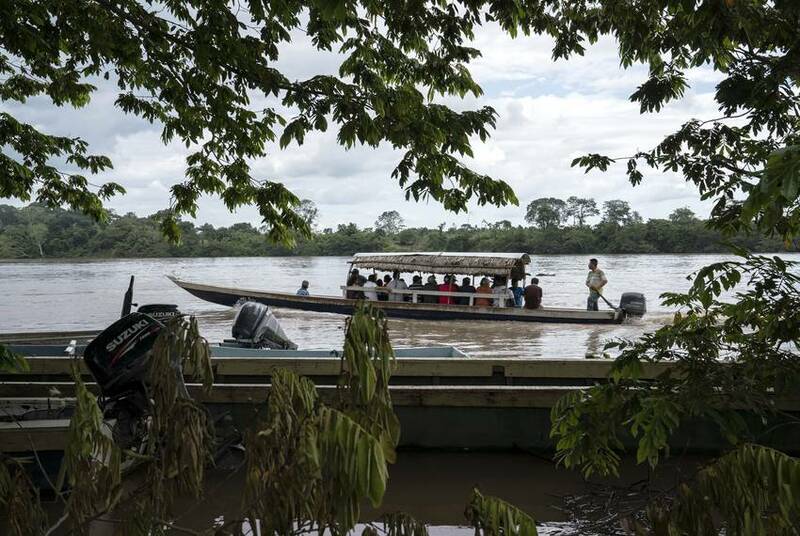 From La Técnica, Carlos and Heyli took a $2 motorboat ride to the Mexican side, where they slipped into a private car waiting for them on the riverbank. 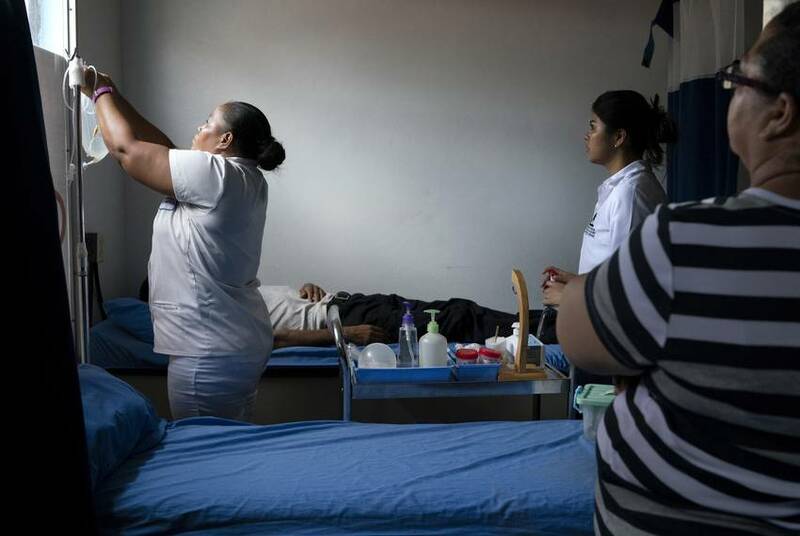 The next day, they were in Villahermosa, a hub for Central American migrants heading north. Their smugglers took them to a two-story stash house filled with about two dozen migrants. After three days, the crowd had swelled to more than 100, each assigned to one of the thin white mattresses that covered nearly every inch of floor. 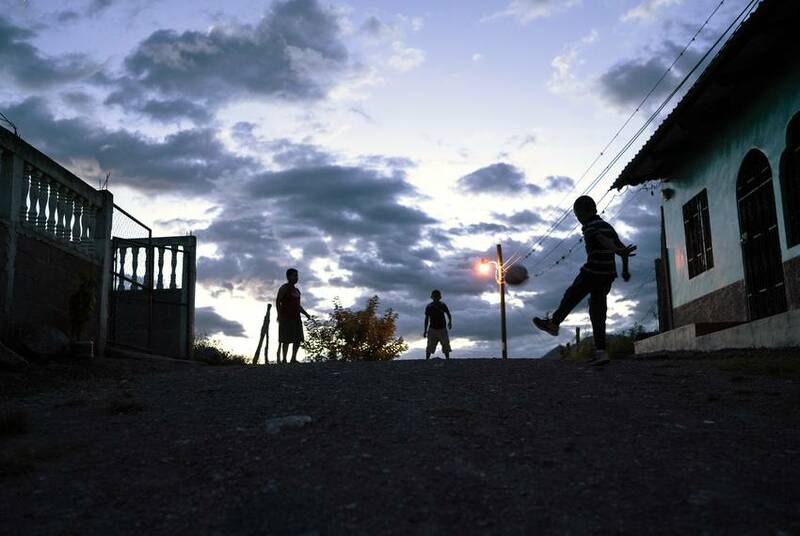 The migrants were treated rudely, Carlos remembers, and forbidden to go outside. But they were fed fried eggs and allowed to phone their families back home. Heyli was happy to have plenty of young playmates. After the third day, Carlos and Heyli boarded a tractor trailer that went from stash house to stash house, picking up dozens of other migrants. Thanks to a friendly fellow migrant who’d paid extra to travel in the cab, Carlos and Heyli were allowed to join her in the back seat with a dozen others, behind the driver. There, covered with curtains, they rode 400 miles to Puebla. The rest of the migrants, including children, were stuffed like sardines in the back of the trailer, crouching and kneeling as the truck breezed through law enforcement checkpoints. On the next legs of the journey — from Puebla though Mexico City, Monterrey and finally up to the Texas border — Carlos and Heyli took regular buses alongside Mexican travelers. But life was about to become more difficult. Up until then, their trip had been prepaid: the food, the stash houses, the bribes. When they got to Reynosa, everything changed. Tourists no longer roam the streets of Reynosa, the Mexican border town just south of McAllen. Once known for its boozy nightlife and binational maquiladora industry, the city has seen some of the fiercest cartel shootouts in the country in recent years. But as tourism shriveled, a thriving human-trafficking industry has bloomed. Just ask 31-year-old Ramon, who has been in the smuggling business here for most of his life. At 17, he started out as a lookout for stash houses, eventually working his way up to coyote. When Ramon began smuggling migrants to the U.S., he paid the Gulf Cartel about $50 a head for his clients to ford the Rio Grande. But over time, heightened U.S. border security measures helped push up the fees. In the early 2000s, migrants paid $1,000 to $3,000 for a coyote’s help crossing the border, according to a 2017 Department of Homeland Security report. Now, smugglers’ fees average double and triple that. When Carlos and Heyli arrived at a safe house in Reynosa in late May, they found themselves in a tough spot. The friends Carlos was counting on to wire the money hadn’t come through. Panicked, Carlos called his father, José. Carlos told him he needed about $3,000 to pay the cartel. “I told him not to worry, that we would find a way to get the money,” José recalls. 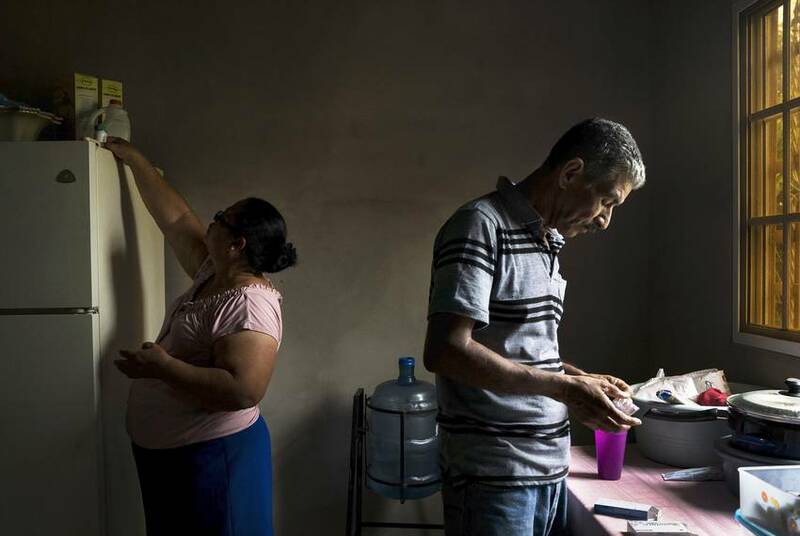 “We didn’t sleep a night or two, thinking of how we were going to get it.” Claudia quickly sold a couple of televisions and a phone, and Carlos’ mother sold a television set, too. Then some cousins chipped in. But the family was still about $2,000 short. In the meantime, Carlos and Heyli waited. Nobody told him where their family’s money was going or who was in charge of the territory they needed to cross. “They only say that the quicker you pay, the quicker you get out of there,” Carlos says. On May 25, he and Heyli were taken from the safe house in Reynosa to another one near the Rio Grande that was decorated with candlelit altars and statues of a female folk saint popular with gangsters. Tattoos of the saint — a skeletal figure resembling the Grim Reaper, known as St. Death — covered the arms of the men inside. “They apparently worship la Santa Muerte,” Carlos says. “You can tell they’re with the cartel.” Heyli was scared. “This is giving me goosebumps,” she told her father. Carlos comforted her, trying not to let his little girl see the fear in his eyes. After about 45 minutes, Carlos and Heyli were taken to the river, where they climbed into an inflatable raft with five other migrants and gave the smugglers the cartel’s clave. With the payment confirmed, they pushed off from the Mexican riverbank and paddled toward the U.S. As the raft floated across, the smugglers took a cellphone video of their passage, which was later sent to Carlos’ family in Honduras to show the delivery was complete. “We could see [Heyli and Carlos] in the raft, and then they crossed and went into what looked like a forest,” Carlos’ father, José, recalls. “I said, ‘Thank God,’ because that was the hardest part.” But within days, Carlos’ family would discover the hardest part was yet to come. When they set foot in the U.S. at last, Carlos and Heyli did what their smuggler had instructed: They walked down a road near the river, looking for U.S. Border Patrol agents so they could turn themselves in and ask for asylum. When they found the officials, they were taken to a chilly processing facility known as la hielera, the icebox, and fingerprinted. “Don’t worry,” Carlos told the child. “I’m going to see someone, and then I will be right back.” Agents took Carlos in leg chains to the courthouse, where he remembers pleading guilty in a mass trial with roughly 60 other migrants. He returned to la hielera expecting to find Heyli. But she was gone. Carlos, now worried, began asking after his daughter, but no one would give him a straight answer. One official told him that the girl couldn’t be with criminals. Another said that Heyli was in different cell. Yet another said she’d been sent to California to stay with his sister Lilian, the aunt Heyli thought she visiting during their journey north. None of those explanations turned out to be true. Heyli had been sent nearly 1,200 miles away to a shelter for migrant children in Phoenix operated by the nonprofit Southwest Key. Carlos, meanwhile, was shackled and sent to a migrant detention center run by the Management and Training Corp. in Livingston, north of Houston. For weeks, Carlos and Heyli remained separated, only vaguely aware of the other’s location. Both were inconsolable. And back home in Honduras, Claudia was frantic. In phone calls from the Arizona shelter, Heyli sobbed and begged her mother to come get her. “I never imagined this would happen, Mami,” Heyli told Claudia. “If I had known this would happen, I wouldn’t have come.” Sometimes Heyli would dream that she was back in Honduras with her parents, her mother said, only to wake up in a panic when she realized she was still at the shelter. Meanwhile, several of her bunkmates left for reunions with their own families, prompting Heyli to ask her mom: Why them but not her? The calls left Claudia desperate and heartbroken. 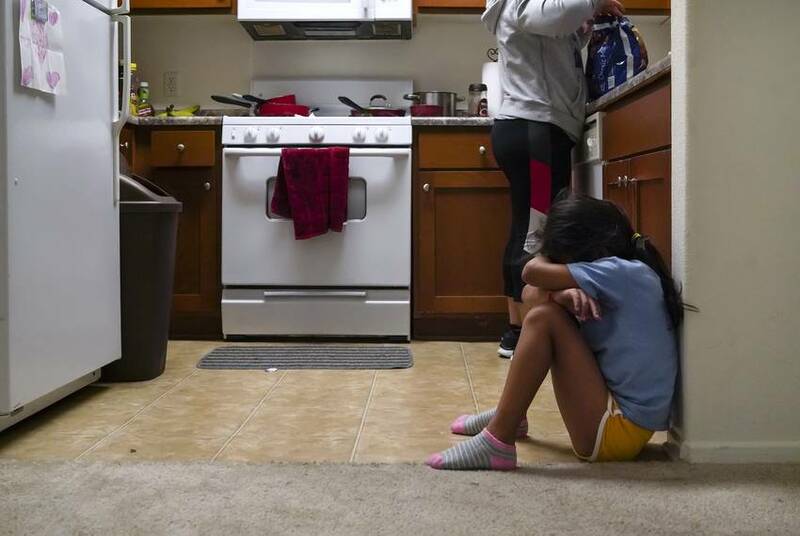 “If I had known that my daughter was going to suffer like this, never in my life would have I have let her leave. Never,” Claudia said in an interview last July. “I regret it 1,000 times over.” Carlos, too, said he would have picked a better moment to leave. The Trump administration’s policy of incarcerating asylum seekers and separating families may have deterred or delayed some migrants last summer. But the temporary lull in new crossings didn’t last. 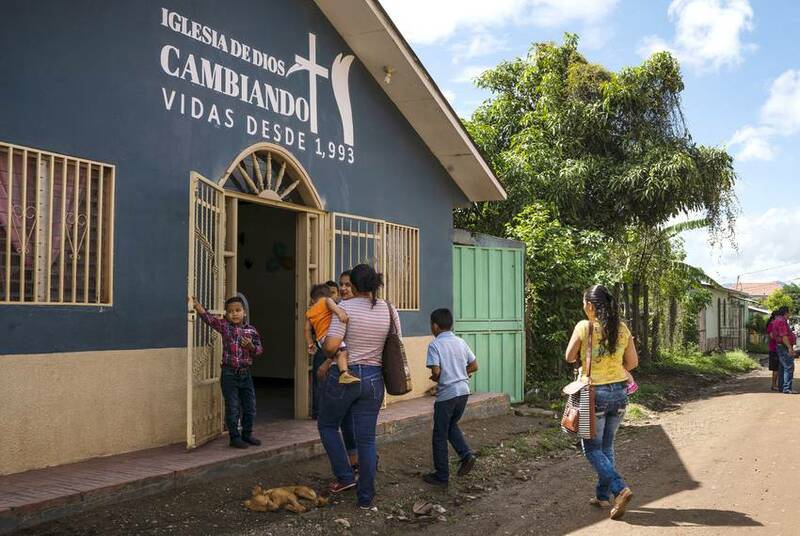 The forces driving families like Carlos’ north — violence, poverty, hunger, persecution — have persisted, and traffickers have capitalized on the growing demand. While the total number of apprehensions of undocumented border crossers has dropped from 1.6 million in 2000 to fewer than 400,000 in 2018, according to federal data, the number of family units attempting the passage has skyrocketed. “We’re currently experiencing an unprecedented influx of family units at our southwest border,” Border Patrol Chief Carla Provost told Congress in late February. Carlos and Heyli were separated for nearly two months. 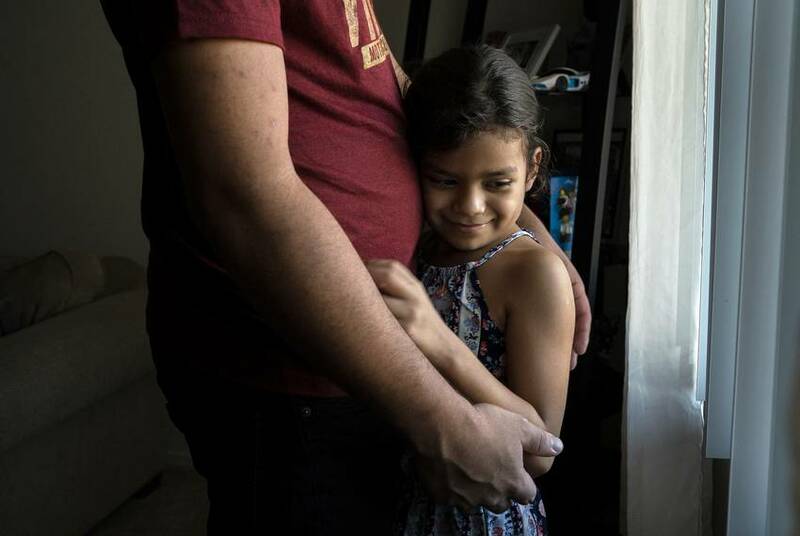 In late June, their case generated national attention when Carlos told The Texas Tribune that Immigration and Customs Enforcement agents had promised to reunite them if he agreed to voluntary deportation. Desperate, Carlos signed the papers. But national politics soon overtook the deal. 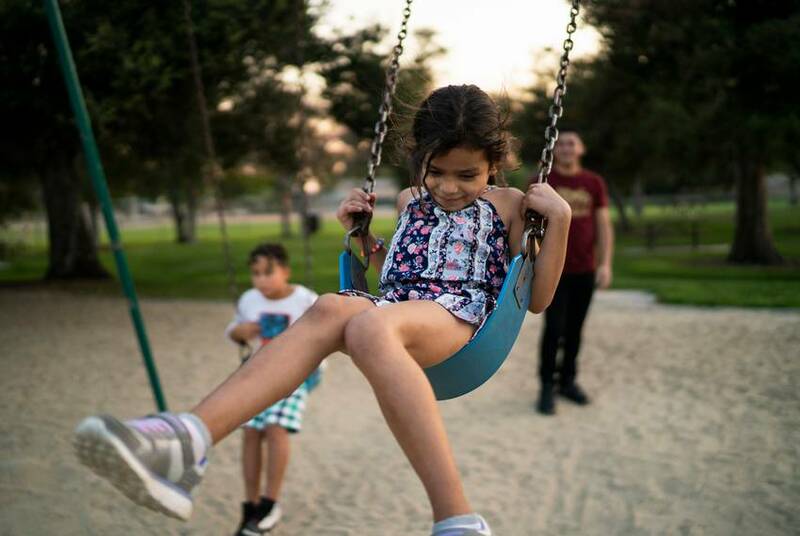 For the past six months, Heyli was enrolled in first grade in a Los Angeles suburb, where she was living with her dad, her Aunt Lilian and two cousins. But the scars of their separation were still evident. For weeks after she was released from the shelter, Heyli would break down in tears or hide in the corner anytime her dad would leave for work. She still won’t talk about her time in the shelter. Carlos is also anxious. There’s still a lot of uncertainty about his legal status, said Derek Loh, Carlos’ lawyer. It’s also unclear how Carlos’ family will pay off the $3,000 they owe the coyote and the $2,000 they owe the loan shark while still affording medicine and food. The family is paying roughly $80 a month toward interest on the loan, but if they don’t pay it off by May, they will lose the house. Meanwhile, Claudia worries that Carlos will be ordered deported before he can pay everything off. With debts looming, Carlos and Heyli recently moved to Florida in search of more steady work. They might soon have company. Carlos’ brother Juan, 27, says nothing that happened to Carlos and Heyli will deter him. When the time is right, he too will pay a smuggler and head for the border. Shannon Najmabadi contributed to this story.